A Matter of Memories: :SALES: FREE SHIPPING @ Scrapbook.com...today only! :SALES: FREE SHIPPING @ Scrapbook.com...today only! 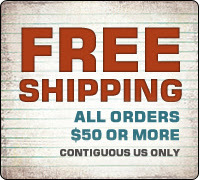 Enter coupon code shippingfreemay in the coupon field at checkout and your shipping will be automatically deducted from your order of $50 or more. The free shipping offer only applies to US residents; however, Alaska, Hawaii and international shoppers can use this same code for $6 off their shipping costs. Still a good deal!